← The OSS Jecklin Disc… My favourite tool for Stereo Recording. 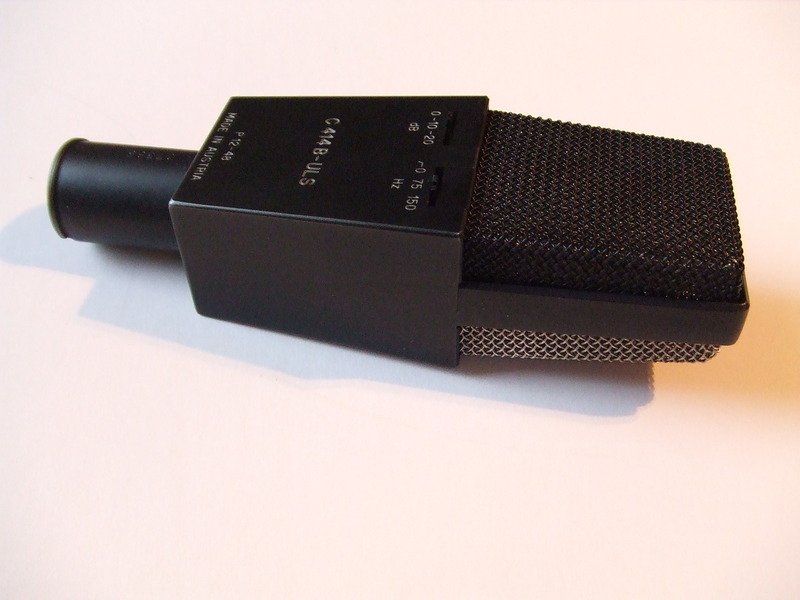 The AKG C414B-TL (1989) A remarkable microphone! In 1989 I inherited a sum of money sufficient to buy a pair of high quality condenser mics. For once I had enough money to choose the mics I really wanted and not just the ones I could afford! After many comparison tests and a lot of thought, the choice I made was a matched pair of AKG C414B-TLs. The B-TL model is similar to the original C414 ULS except that it has no transformer on the output which means that it will reproduce right down to the lowest possible frequencies. At the time it was also £100 more than the standard ULS. To my ears the 414B-TL comes very close to microphone heaven! It produces a rich, complex sound, accurately revealing an extraordinary amount of low level detail and texture. For recording classical music these mics perform superbly in either X-Y or M-S configuration. In a multi track environment the C414B-TL will produce fantastic results for almost any high quality sound that is put in front of it! (vocals, double bass, guitar, brass, piano, woodwind, percussion, drums etc) If the house was burning down, this pair of 414s would be the ones I would be rushing in to save! Sounds like you have a very nice little collection! 414s just sit so well on the ears. I own a pair of C 414 EB P48 with the nylon CK capsule, with a flatter treble and presence response. They work wonders on all acoustic and classical instruments !! !